WMDF is already working hard on its 008 event, and on finding new partners to work with us. 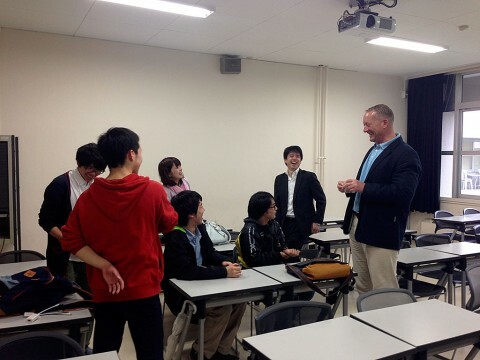 As part of this, WMDF visited Hokkaido University of Education Hakodate campus on April 17 (Fri). GIA presentative, Ian Frank presented our activities and roles of staff through pictures and video. Students who joined us last year as staff also showed up and helped us out. If you are interested, there are staff meetings announced on these pages. For more information on registering to get automated emails, check out “Take part as WMDF staff” on our homepage. It’s also possible to attend our meetings as an observer, if you just want to find out what everything is about. 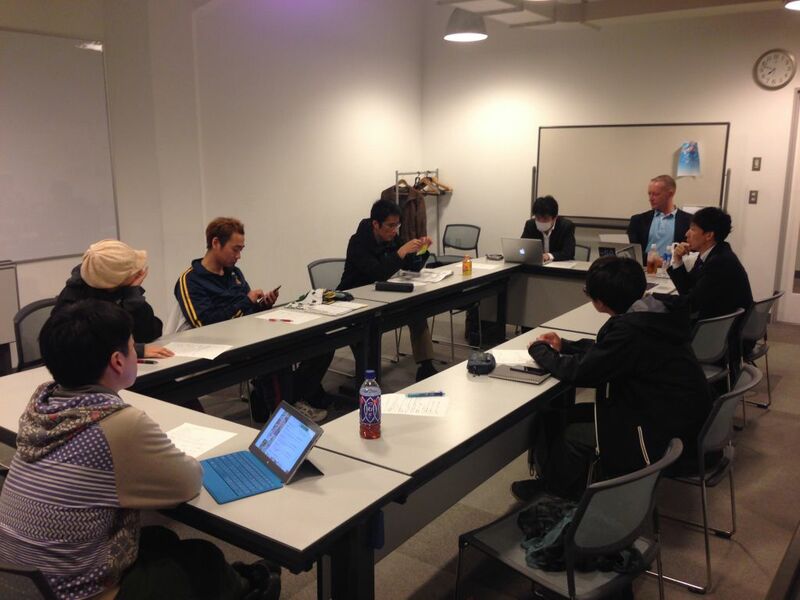 By the way, on the same day in the evening, we also held a “Core Meeting”. These settings bring together the sub-group leaders of all the important groups that work to implement WMDF to make plans and to check and generate ideas. This time, we focussed on the 2015 Pre-Event, the “Worlds Meet Circus”, and we think we came up with many promising directions. Time will pass fast, but we will try to make this another memorable year. Why not join us?